Authenticity is the element every new artist in country music yearns for, but few if any can legitimately boast to the same degree as the country legends who preceded them. Spencer Cornett---the singer, songwriter, and frontman of the Austin, TX-based country band The Boomswagglers---is the rare exception. Born and raised in rural Williamson County, TX and a true blood relative of Texas train robber Sam Bass, he spent his youth in and out of rehab and prison, barely attending school, stuck between the world of his drug-abusing mother and county sheriff father, often in trouble with the law, and learning early and often the hard lessons of true hardship and eternal heartbreak. Spencer Cornett never had to scrub the gloss of the modern world from his story because he never lived in it. He never had to learn how to act and sing like an authentic country artist because it's all he's ever known. The stories and the thick Texas accent are real, as is the authentic love for country music picked up from being raised by his grandparents and singing Gospel on Sunday mornings. Country music courses through Spencer Cornett's veins like the silt of the Central Texas creeks and rivers he fished and boomswaggled throughout his youth---skipping class to search for arrowheads and write songs about his hardscrabble existence ripped straight from his daily life. Joining Spencer in the Boomswagglers is Steven "Brock" Bracamontez. He's inspired not only by the authentic country blues of Central Texas, but the twangy Bakersfield guitar sound with a twinge of rock and roll first made famous by folks like Don Rich and Clarence White. Without giving any ground in authenticity or taste, Brock brings an obsessive technical prowess to re-imagining the legendary tones of country music through dogged study of the old masters of the craft, while still leaving his own signature stamp on the music through his Texas roots. Kyle "The Triggerman" Coroneos is a seasoned country drummer from Texas who produced records for James Hand and Possessed by Paul James among others, first deciding to work with Spencer Cornett as a producer, and later joining the band after seeing the singular potential in Spencer's singing and songwriting, and knowing it would take extra patience, attention, and effort to bring these one-of-a-kind songs and perspective to the country music space in desperate need of authentic voices. First formed in 2007 with former member Lawson Bennett, the Boomswagglers found international acclaim with the song "Run You Down," which was nominated for an Independent Music Award in 2010, and later was featured in the 2015 documentary Rolling Papers. Now for the first time constructed to be a full time endeavor, The Booomswagglers are looking to add a real deal element to country music with songwriting so potent it awakens recollections of Townes Van Zandt, fat hooks and melodies that make the music immediately infectious to a wide swath of listeners, and a ferocious authenticity that is difficult to impossible to find from any other performers in country music in the modern context. 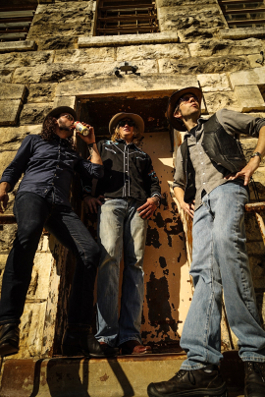 A little bit roadhouse blues and old school rock and roll, and a hell of a lot of country twang, the songs of The Boomswagglers are a bit dangerous, deceptively deep, and speak to the true to life pains of America's forgotten agrarian roots. 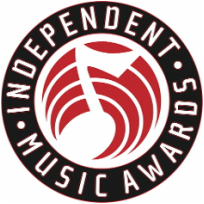 The Boomswagglers Song "Run You Down" was nominated for the 2010 Independent Music Awards' Country Song of the Year. 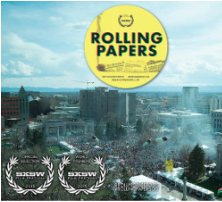 In 2015, multiple songs from the Boomswagglers' Bootleg Beginnings were featured in the documentary Rolling Papers.